Need some time with your daughter to let her know just how special she is? 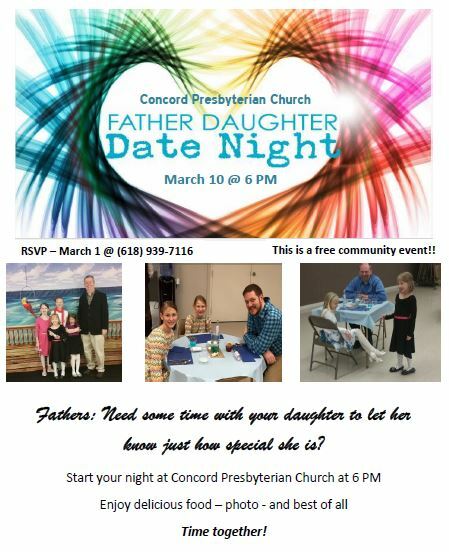 Start your night at Concord Presbyterian Church March 10 at 6PM. enjoy delicious food, a photo and best of all – Time together! RSVP March 5. For more information call (618) 939-7116.